The holidays are over and as many of you know I have been busy partaking in all of the festivities. 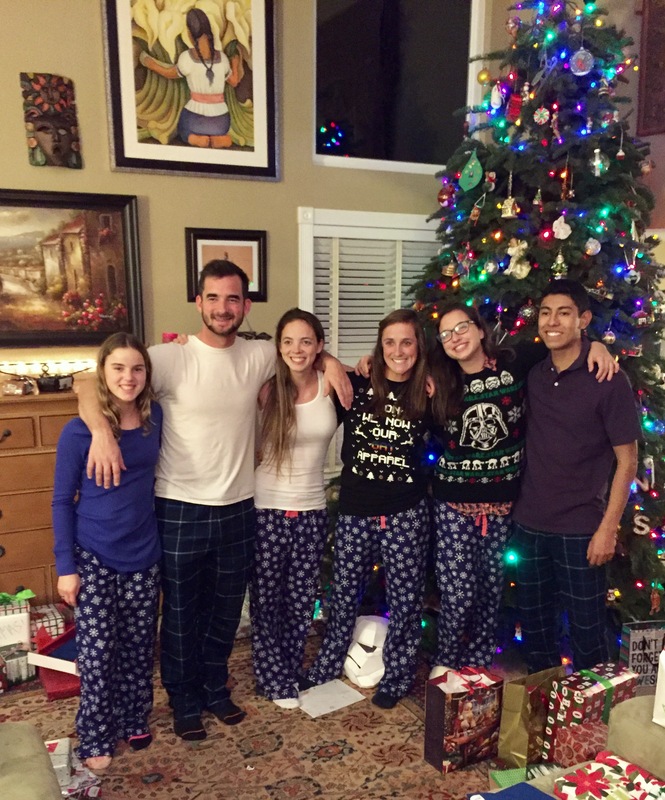 Life has been super busy with teaching until Dec. 22 and then hosting Christmas Eve with all the kids home on Dec. 24th. Of course the fun did not stop there! Day trips to San Francisco and Santa Rosa included more food and beverages. Santa Rosa in particular included wine tasting and beer drinking. I am not really much of a beer drinker, so visiting Russian River Brewpub was for my hubby, son, and his girlfriend. I was the designated driver, so it was diet coke for me. 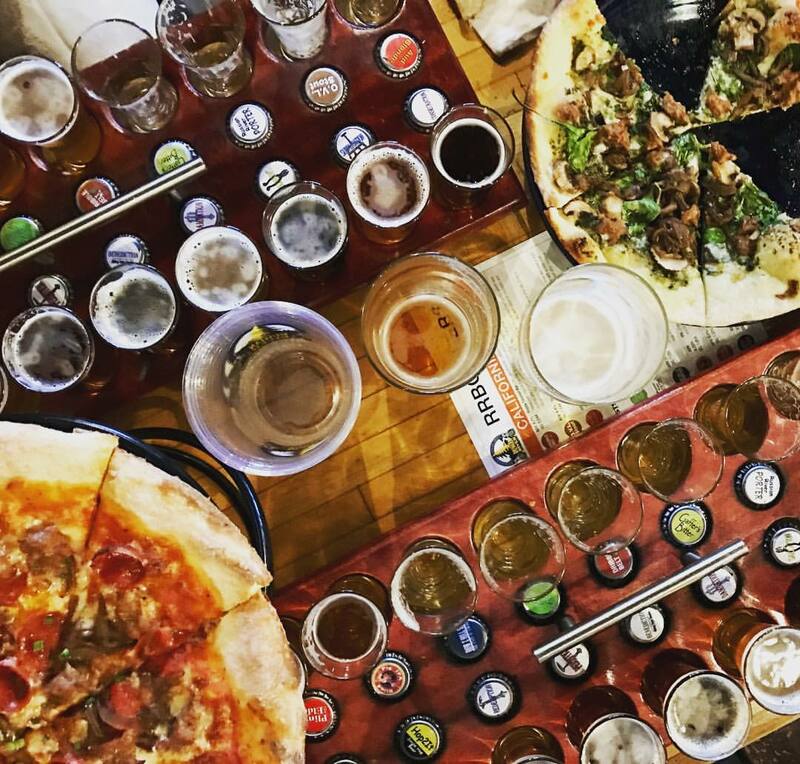 But the pizza – oh the yummy pizza and the Pliny Bites (bread with white cheddar and jalapeños) – Way toooo Good! It is time to focus on my health and in particular – weight loss. My goal for 2017 is to lose weight. More about all of that in a later post. I will be recapping my 2016 goal of Getting Organized and outlining my goal for this year. That post will be up by the beginning of next week (if not sooner). But this recipe was simply to good to wait. Seriously. 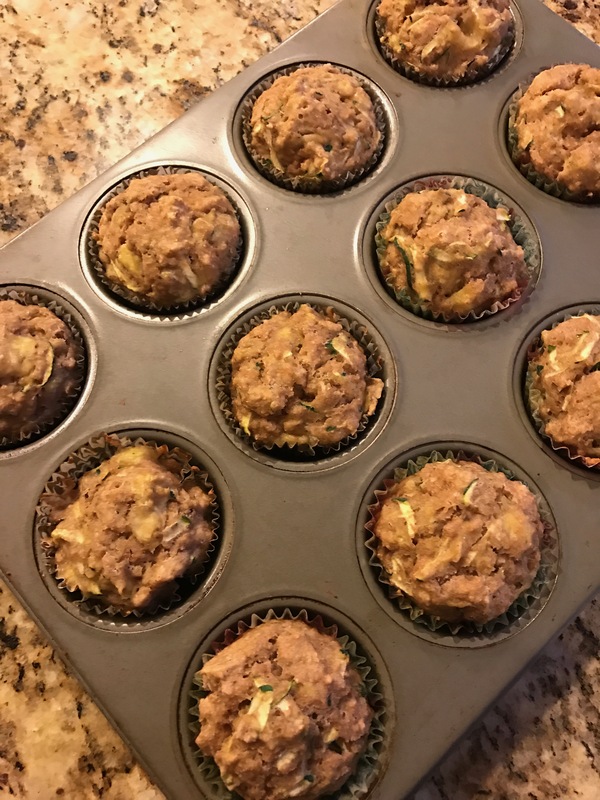 I whipped these up yesterday because I had some over-ripe bananas as well as too much zucchini and the end result was simply delicious. Next time I make these I will be adding a pinch of cinnamon. I had thought about adding the cinnamon in this batch as I was folding all of the ingredients together – but I decided to hold off. Should have gone with my first instinct. I pretty much add cinnamon to many of my breakfast foods, so I should have just gone with it. I think a pinch of cardamon would also blend in well. #Doubleyum! Prepare 12 muffin cups with paper liners or lightly coat with nonstick coating spray. In a large mixing bowl, combine flour, baking powder, baking soda, salt, and cinnamon. Mix together thoroughly and set aside. In a medium bowl, combine egg, honey. almond milk, oil, and vanilla. Mix well. Add liquid mixture to the flour mixture and stir until just blended. Fold in mashed bananas and grated zucchini. Gently stir mixture until evenly combined. 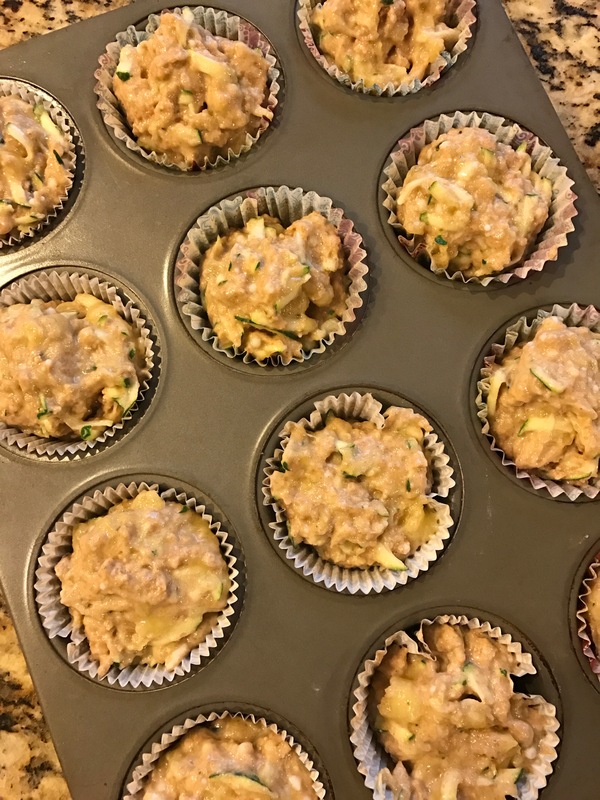 Using a spoon, scoop mixture into 12 muffin cups – dividing equally. Bake for 20 minutes or until toothpick inserted in the center of muffin comes out clean. Transfer to rack and cool. The muffins come out a bit oily on the bottom sitting in the muffin tin. I placed the cooled muffins on paper towels to absorb any extra oil. 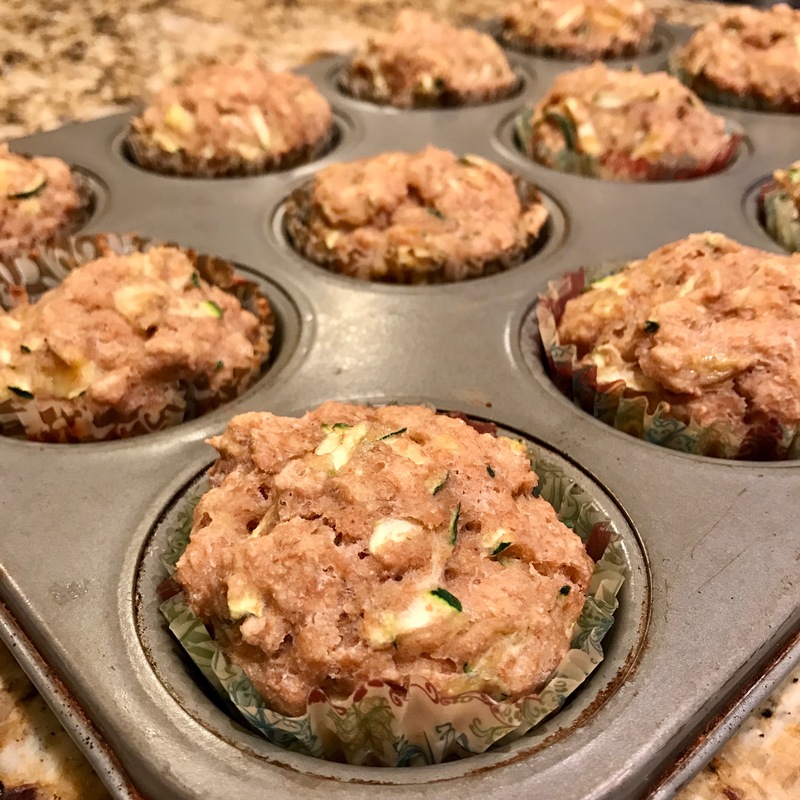 The muffins themselves do not taste oily. I believe it is just a function of baking with coconut oil with the liquid produced from the zucchini. 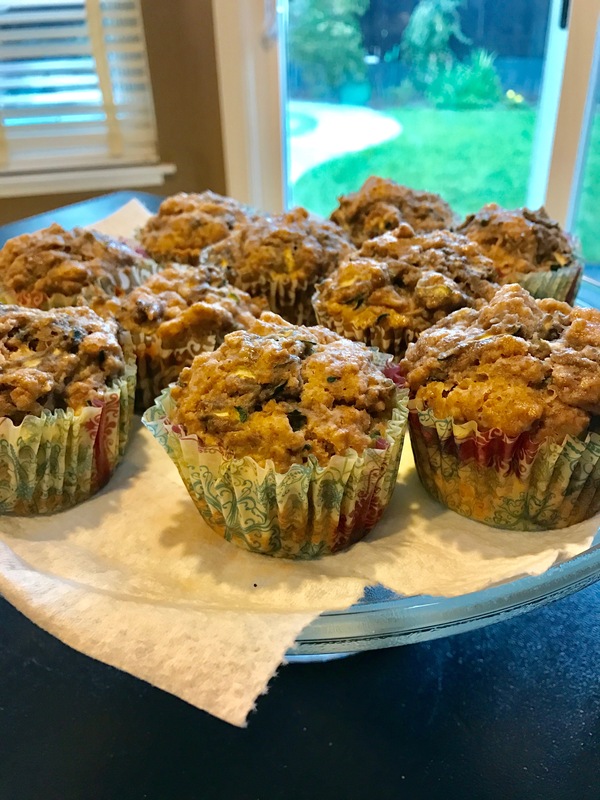 The four kids in the home yesterday, my husband and myself all rated these muffins as delicious! Using a spoon, scoop mixture into 12 muffin cups - dividing equally. 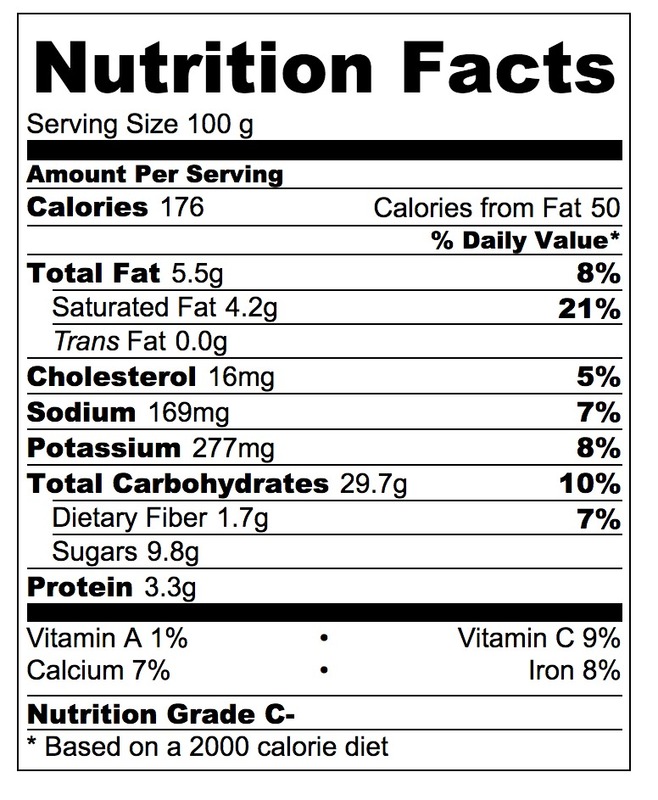 In my quest for losing weight, I am going to be including more Nutrition Facts labels. This label was generated using CalorieCount.com’s recipe analysis. They gave it a rating of C- . Not the best rating for sure! This was because of the coconut oil. Replacing the coconut oil with applesauce will bring it up a full grade to a B-. Baking with applesauce is an easy swap. I will be trying that next. 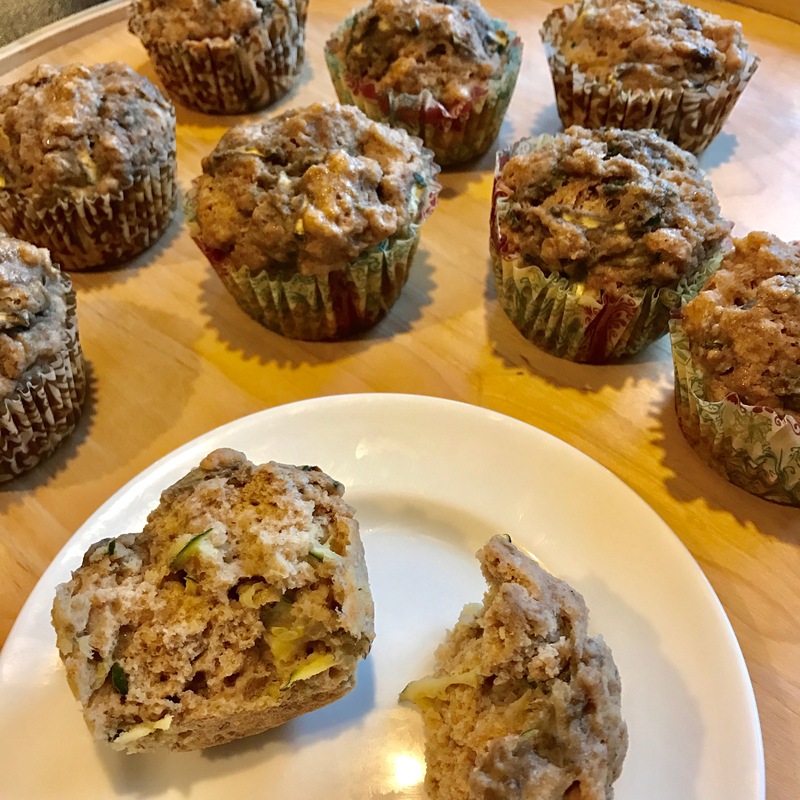 But as is, these muffins are not only delicious they are filling!